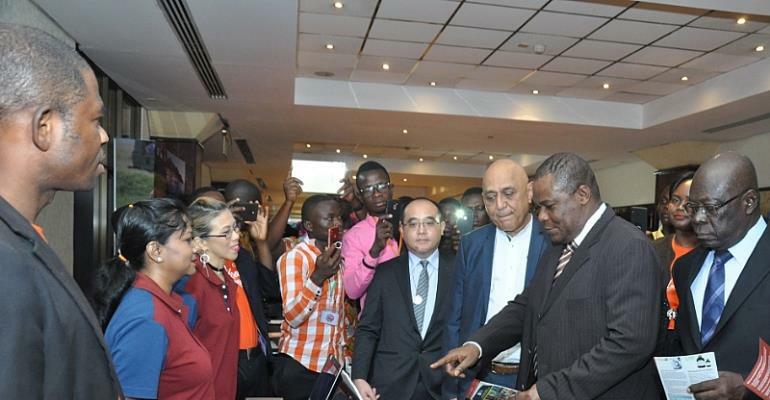 26 February 2018, Accra – The first-ever Absolute Living Expo organised by QNET Ghana was attended by many stakeholders and the general public. Government agencies such as the Ministry of Trade & Industry, Ministry of Business Development were well represented. Ghana’s largest business association, the Association of Ghana Industries was also represented at the Expo which took place at the Accra International Conference Centre on 22nd and 23rd February, 2018. The Expo, themed around the concept of absolute living, is a campaign that embraces a holistic approach of well-being and healthy lifestyle. The expo aimed to raise awareness on the importance of healthy living and approaches towards achieving it: Eat Absolutely, Drink Absolutely, Breath Absolutely and Feel Absolutely. Among the key product highlights at the expo include EDG3, KENTA, H2GO, Qafé, DEFY, Prospark, Swiss eLeaning Institute (SELI) and QVI Club. “2018 is a very special and significant year for QNET as we celebrate our 20th anniversary. Since QNET was established back in year 1998, the company has been focusing on empowering people to live better by offering high quality lifestyle products, services, business opportunity and training. Moving forward, QNET will be conducting more trainings and awareness in the Africa region.” Mr Sharma added. QNET is very socially responsible and actively supports orphanages, differently-abled children, disaster relief projects, environmental protection and food/water programs around the world and has participated in programs with the United Nations, UNICEF and Commonwealth Business Council. One of the most recent charity works in Ghana was the partnership with Worldreader to sponsor an e-reading programme for the Wechiau Community Library (WCL) in Wa West District, Ghana to help improve the educational outcomes and instil reading habits in children in the Wechiau community through the use of digital content and technology.